Just a quick note on how we’re all terrible. 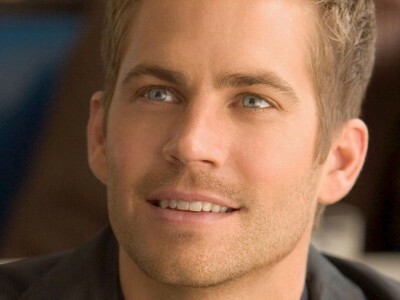 I found out that Paul Walker had been killed in a car accident leaving a charity function via Twitter…in a joke. After celeb-shaming site TMZ broke news, the internet decided to wait all of zero seconds before making tasteless, classless jokes about a guy who by all accounts was a pretty decent person. There’s lots of debate to be had about whether the internet is making us more awful or just allowing us to reveal it better, but regardless, it is certainly making it easier for me to know who not to associate with. Best wishes to Walker’s family, and herpes wishes to everyone who told a joke within the first 10 minutes of finding out a person died. Quentin Tarantino writes like he likes his blood: in spurts. Apparently, he’s pounding out his next sure-to-be-great-and-horrifying script, and it’s gonna be a western. This comes as great news for everyone who loved the action and setting of Django Unchained but had a hard time celebrating it, what with all the soul-crushing inhumanity of slavery and all. There’s a lot to debate when it comes to another director stepping in to a spot vacated by the legendary Stanley Kubrick. When Steven Spielberg, a guy with a pretty decent rep, did it when he took on A.I., critics second guessed him. I wonder what they’re going to say about Baz Luhrmann, the man who broke on the scene by giving Leo DiCaprio’s Romeo a gun, taking on the great white whale Kubrick never finished: a film about Napoleon. HBO bought all of Kubrick’s unfilmed stuff regarding ole Nappy, and now comes word that they’re Lurhmann the first shot at making something out of it. Relax everyone: the guy who turned the Police’s “Roxanne” into a tango is on the job. No worries here.